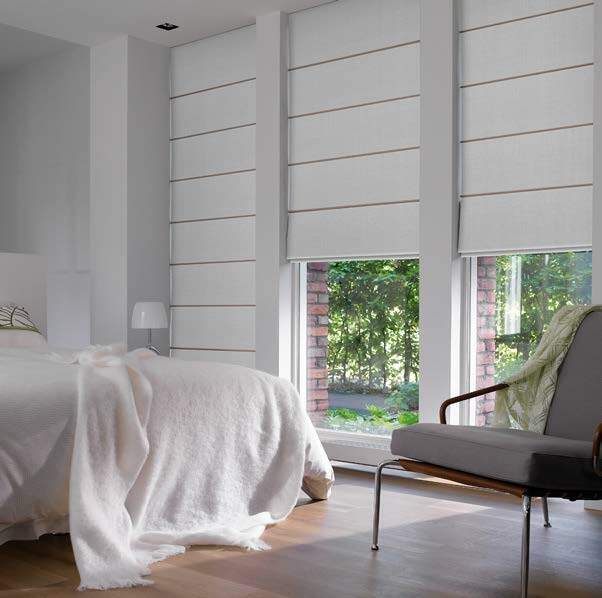 Roman shades are a stylish and contemporary window furnishing using soft fabric panels to create good privacy and light control. Pinz roman shades are available in simple pleats for a more formal look, or exposed timber battens for something soft and casual, making them the ideal window furnishing solution for your home. Roman shades are available in a range of fabrics. Often used as a feature product they can be combined with other choices from the Pinz collection, providing appropriate solutions for different window styles and creating a coordinated look across your home.